You have a big job interview coming up with your dream financial institution. This is your chance to land your dream IT job. Feeling scared already? If you’re one of those people who have pre-interview jitters, read on. Technical interviews can be tough to crack. Even the most tenured can feel a little bit anxious and nervous before that big day. 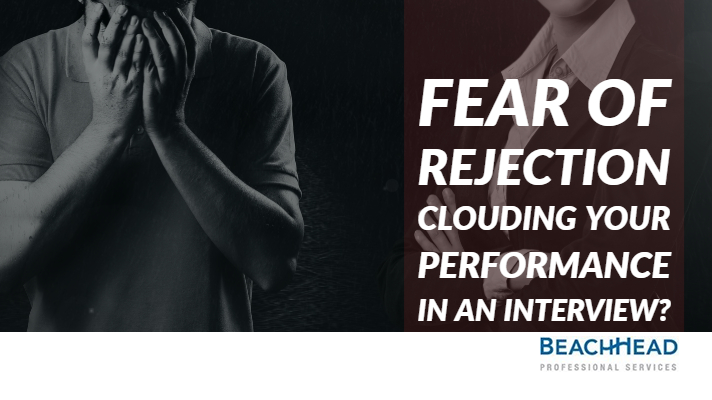 However, if you find yourself blurting, babbling, fidgeting, and sweating before and during an interview, you are most likely suffering from pre-interview anxiety. Worried? Don’t be. We have got 3 rituals that can help you. The power of body language is a proven method to improve your confidence and outlook leading up to an interview. Amy Cuddy is an American Psychologist who has studied the power of body language on your mental outlook. She found that non-verbal expressions of power, (i.e, Superman poses in front of the mirror) affect your feelings, behaviors and hormone levels. Her research has proven that power posing for as little as two minutes prior to an interview cause better performance in job interviews. “If you act powerfully, you will begin to think powerfully”. Her TED talk on this is absolutely amazing. Please click here to watch it. Nothing impresses the hiring managers more than the confidence and charming personality of the candidates. First impressions are important. An engaging smile with eye contact when you first meet the hiring manager followed by a firm handshake will make a great impression. In addition, remember to throw in few smiles here and there at appropriate intervals.An effective body language does half of your job for you at your interview. Practice sitting straight and in a comfortable and confident position ahead of your big day. Practice using hand gestures effectively to emphasize your points and engage the interviewers. Remember to treat the interview more like a conversation rather than a question and answer session. Do not fiddle or fidget. If you’re a natural fiddler, a great suggestion is to wiggle your toes inside your shoes, out of sight of the interviewer. Remember the more you practice these simple body language techniques every day at work or home the more natural it will be for you on the day for your interview. Positive thinking pays, not only in job interviews but also in life. The job search process can be brutal. Even the most tenured can receive rejection and situations that are mostly beyond our control. Channeling positivity essentially means focusing all your energy towards thinking about positive scenarios and positive outcomes. Alternatively, a negative attitude can prevent you from expressing your thoughts clearly and in a professional manner. Trust us; you will not be hired if you have a bad attitude. Therefore, keep a constant check on your thoughts and try to lean towards keeping a positive attitude for everything. A great way to stay positive is to engage with things that motivate you and keep you happy. Some people like to listen to upbeat music that energizes them and makes them feel good. While others prefer listening to guided meditations or motivating speeches. There are also many good self-help books available that can do the trick for you. Remember fear and excitement are two closely linked emotions. So, focus on how exciting it will be to talk about your achievements and skills with like-minded people during the interview process. Visualizing the interview going well and committing this image to your memory will leave you with a strong sense of positive confidence and energy. If you find yourself blabbering or stumbling over words, it is likely that your anxiety has taken over. It can cause nervousness in chest and tightness in the throat that will impact your clear and confident speech on one hand and on the other it might make you speed up and speak even before you’ve considered the question properly. As a part of your interview preparation, you need to practice the pace of your speech. Practice speaking at an even pace. Not too fast and not too slow. If you feel yourself speaking quickly, you should stop and take a brief pause. Pauses are effective if taken at proper intervals. In fact, most hiring managers expect you to pause and think before answering complicated questions. You do not have to be self-conscious about pausing. If you race to fill every silence, you’re twice as likely to blurt out something that you’ll regret later. You can use fillers like “That’s a good question. I just need a moment to think about my answer” or “That’s a great question. Let me recollect a few good examples to share.” You can also try practicing breathing techniques. Breath in, hold the breath for one or two seconds and then exhale slowly. It will help you calm down, reduce your heart rate and slow down your speech. Remember the calmer you feel the better you will be able to think and reply. There you go! Practice these tricks, and you’ll be ready to face all your anxiety and fears. Being prepared is really the best way to overcome all your pre-interview jitters and anxiousness. Remember a little bit of anxiousness is healthy as it makes you sharper and helps you perform better. However, preparation can give you all the confidence you need. It will help you be in control of your body language and speech along with helping you channel all that positive energy. So, prepare well and then prepare some more. Already prepared for your interview? We can help you set it up for your next job. Send us your resume at info@beach-head.com, and we will help. Remember to like us on Facebook and do follow us on Twitter and LinkedIn. Apply to all our latest job openings here.